When take a walk through shikanocho, the famous place of the slightly far San-in Coast Geopark. Do you not extend a trip by all means at this opportunity? 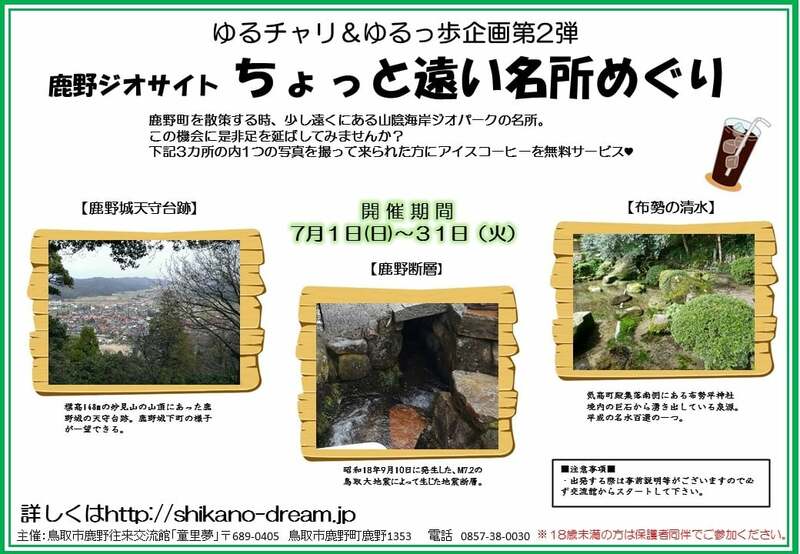 It is a free service with iced coffee in one taken in a photograph in three places of "Kano Castle castle tower trace" "Kano dislocation" "Shimizu of the cloth group"
When it is left, please start from interchange building by all means as there is prior explanation.